Pick up from your hotel around 19:30 and transferred to Beijing Train Station. Take overnight train to Hohhot from Beijing by K89 ( 9:00pm - next day 7:20am) for Hohhot. Soft sleeper, 4 people sharing one compartment. Arrival in Huhhot at 7:20am. Pick up from the train station, then transfer ( 1.5 hours'drive ) to the Gegentala Grassland, located 150km to the north of Hohhot. It boasts of the biggest and most featuring Mongolian grassland with the Mongolian ethical characters of China. "Gegentala" in Mongolian language literally means a summer resort or the place of herding in summer. Wander around on the grassland, visit a local village, drink Mongolian tea in a local nomad family, do a nice walk in the beautiful yellow flower valley. Later watch a wrestling competition, enjoy the Mongolian performance at night, and try the local cuisine. Stay in the Mongolian style yurts. -the Gegentala Grassland: Gegentala Grassland is to the north of Hohhot, within the Inner Mongolia Autonomous Region. It is the largest and a unique Mongolian scenic spot bearing the Mongolian ethical features of China. In Mongolian 'Gegentala' means a summer resort or the place of grazing in summer. 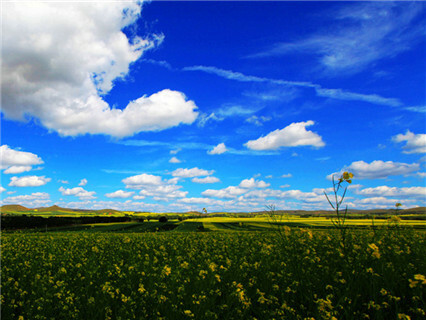 On the grassland, the weather is cool and the natural scenery is fascinating. With thriving grass and abundant water, the green of the grassland reach out as far as your eyes can see. Colorful wild flowers and flocks of sheep that look like masses of cloud make the scene absolutely beautiful. Relax your body riding on the endless grassland, under the blue sky and white cloud. 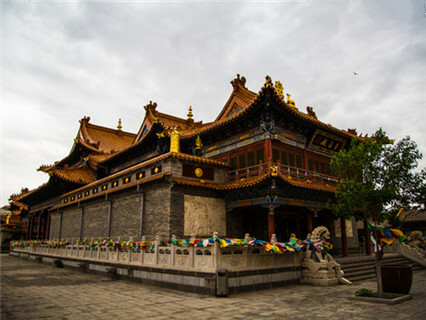 Drive to Huhhot city later, visit Dazhao Monastery, the largest Gelukpa (Yellow Hat Sect) Temple in town, which holds many interesting artifacts. Then move on to Saishanglaojie. After lunch, visit Five-Pagoda Temple or locally called Wuta Si in Chinese. It has a blend of architectural style with five multi-tier Chinese style pagodas built on a square-shaped Indian style structure. 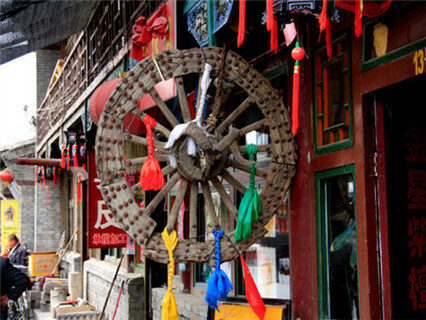 Then visit ancient Suiyuan City at Jiangjun Yashu. It is located west of Huhhot. The building of the city was to consolidate the northwest border during 17th century. Later do a bit souvenir shopping before you head to the train station taking K90( 21:23 - next day 7:20am ) for Beijing. -Dazhao Monastery: Dazhao Temple, 'Wuliang Si (Infinite Temple)' in Chinese, is the oldest building and the largest temple in Hohhot, Inner Mongolia. Locally, people usually refer to it as the Silver Buddha Temple (Yinfo Si) for it is here that there is a rare silver statue of Sakyamuni that measures 2.5-meter-high (8.2-foot-high). -Five-Pagoda Temple: The Five-Pagoda Temple is situated about 200 meters to the northwest of Beijing Zoo. Its original name, the Temple of True Awakening (Zhenjuesi), was later changed to the Temple of Great Righteous Awakening (Dazhengjuesi). Today, however, it is popularly referred to as the Five-Pagoda Temple. -ancient Suiyuan City: Suiyuan City at Jiangjun Yashu is located west of Huhhot. The building of the city was to consolidate the northwest border during 17th century. During the reign of Emperor Yongzheng (1723-1735) of Qing dynasty, the new city was built 2.5 km northeast of Hohhot old city. The city was to hold the officers and soldiers to safeguard the border. Later the city was named Suiyuan City. 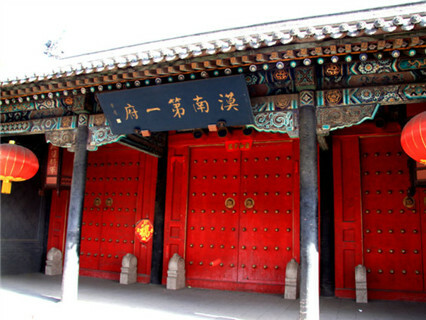 It covers an area of 15,000 square meters, a historic house of cultural relics in Inner Mongolian area of China. Arrival in Beijing at 7:20am and transferred to your hotel or residence in Beijing. 1 Inner Mongolia has extreme weather. There is a dramatic difference in temperature between day and night. It is necessary to take some warm clothing or rent them on the spot when you travel on the grassland. It is also one of the driest regions in China. You are kindly reminded to bring hydrated and take moisturizing lotion to protect your skin. • Reservation should be made at least three days before departure time. Private air-conditioned car, van or bus. 2 persons share a Mongolian yurt with daily breakfast. Tips for tour guide and driver. Horse back riding and activities on the sand . how about visa mongolia. im already have visa china. i want to inner mongolia more.. Reply : Thank you for sending email to Chinatour.Net Sorry, we can only arrange tour in China. Inner Monolia is located in north China but Ulaanbataar is located in Mongolia. Have a nice day!